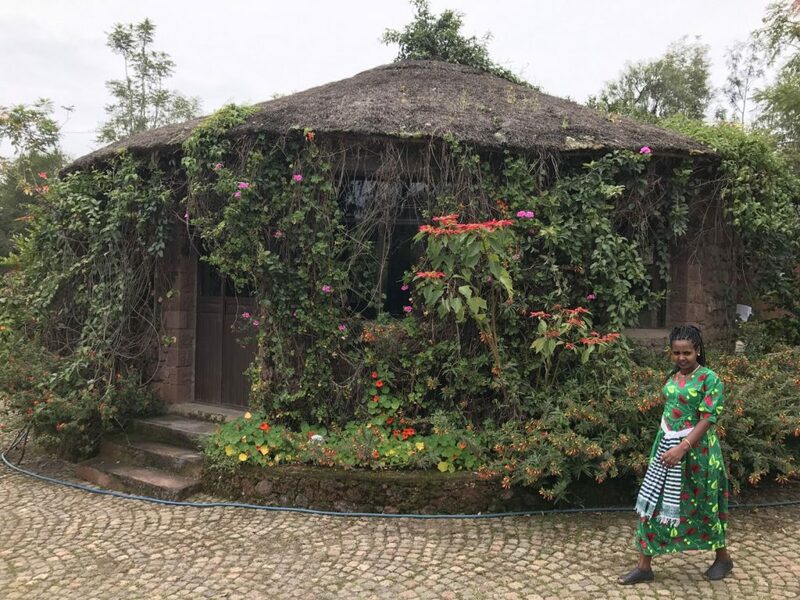 Our latest Sleeps 5 adventure found us traveling through parts of Ethiopia in Eastern Africa; including Addis Ababa, Gondar, the Simien Mountains and Lalibela. Here is a short list of hotels that are both family friendly and can accommodate a family of five (5) all together. This blog post contains affiliate links – at no extra cost to you, using TripAdvisor through the link may result in a small commission to Sleeps5. 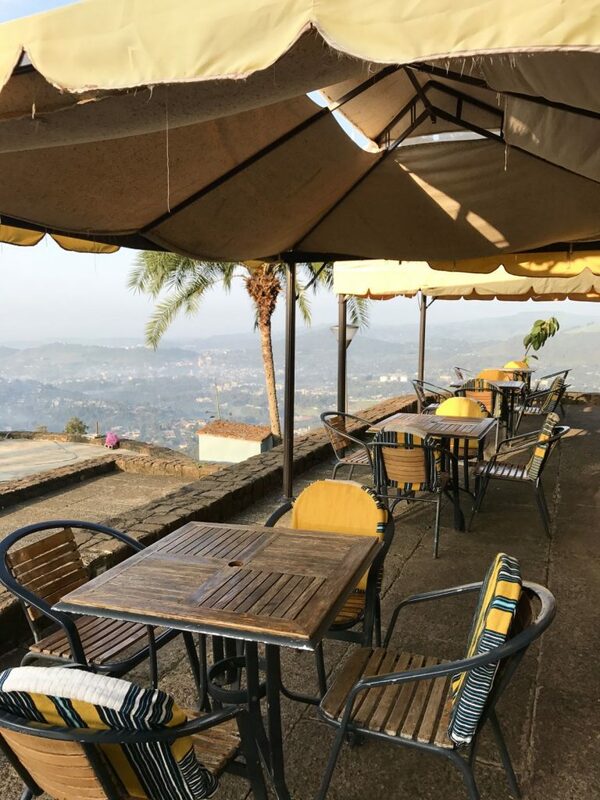 The Goha is a lovely hotel sitting on top of a hill with panoramic views of the city of Gondar below. The hotel provides many amenities including a restaurant with outdoor seating, swimming pool, children’s play area, airport shuttle service, complementary WiFi, coffee ceremony and 24 hour reception. The staff members are unfailingly kind, helpful and appropriately proud of their hotel. There are family rooms that can accommodate a family of five with young children as well as connecting rooms. Furthermore, while certainly one of the nicest hotels in Gondar, their rates are budget friendly compared to similar hotels in the USA. Visiting Gondar? Compare Deals and Reviews, including Goha Hotel, and see more traveler photos, at TripAdvisor. 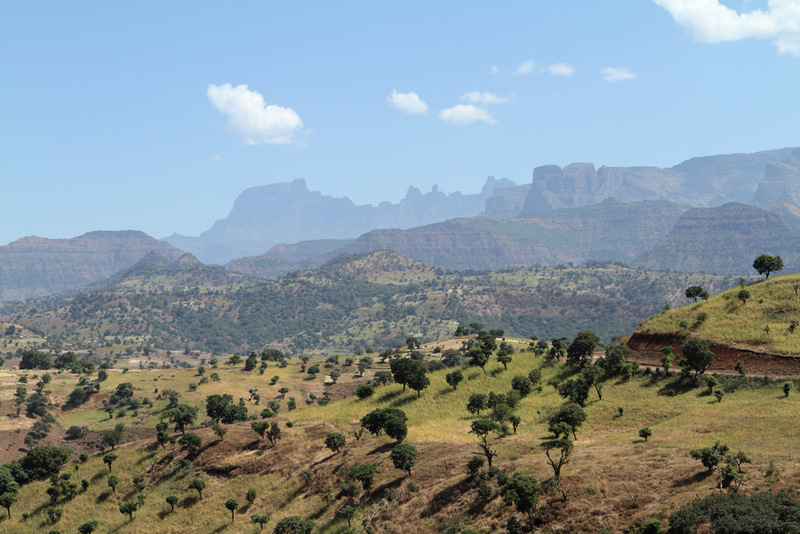 First of all, the LimaLimo is a beautiful eco-lodge within the Simien Mountains National Park (UNESCO). It is an all inclusive experience, transportation, park fees, park scouts, all food, plus local wine and beer, and VAT are included in the nightly rate. Children are “very welcome” here but as they have limited cots and high chairs please note at the time of your reservation what your needs will be. Guests under six stay for free, cots, as stated previously, are available. Lastly, the rate will vary depending on your sleeping requirements and the age of children but generally for children it is discounted. The lodge sits up on a mountain with high escarpments all around. Visitors should not wander off without a guide. This is a high altitude location at about 9-10,000 feet (3000 meters). This can feel a bit funky for those of us who live at sea level. Guests may find themselves winded easily. Most noteworthy, we saw golden, Gelada monkeys among other wildlife near the lodge and during our scenic hikes in the park. See more traveler photos and read reviews of LimaLimo Lodge at TripAdvisor. Currently, this hotel doesn’t participate in hotel discount partners, but you can still see many photos of hotel rooms and the exterior, plus read recent descriptions of guests’ experiences via this TripAdvisor link. This eco-lodge sits atop the Hudad Peninsula which is accessed either by hiking up a rustic trail or by mule and guide. The peninsula elevation is 11,000 feet (3,300m). If your body is not used to these elevations the hike will be more strenuous than you can anticipate, in which case a mule ride might be in order. That experience is its own adventure for sure! The eco-lodge is run by local villagers. The tukuls (cabins) are charming and basic but includes extra traditional clothing as it is chilly. Each tukul has its own outhouse! 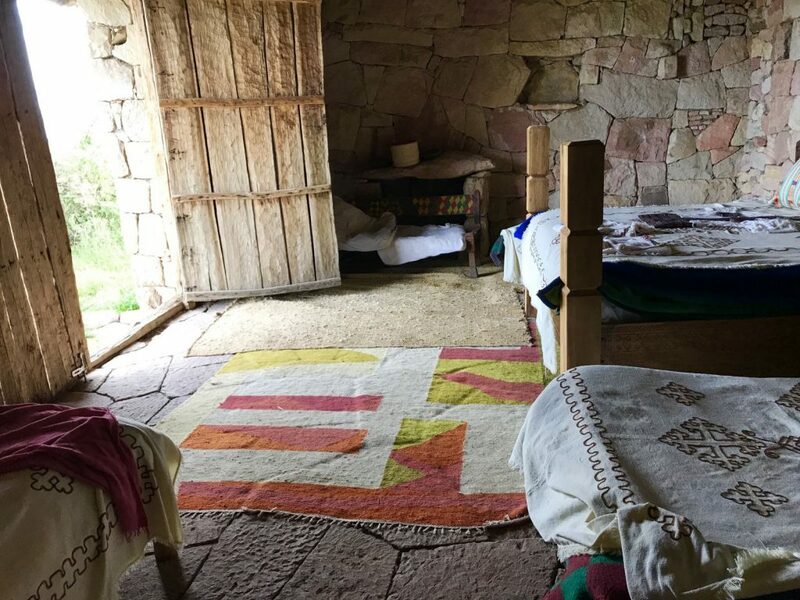 There is a tukul that sleeps a family of five in one room plus an adjoining room for an even larger family. A simple dinner of pasta is prepared and served by the staff at the top. Finally, the villagers provide beer and wine on most occasions and porridge and omelets for breakfast. 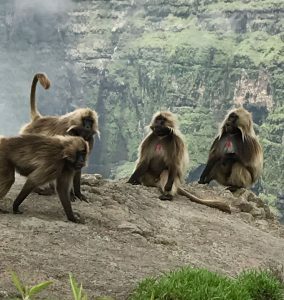 See more traveler photos and read reviews of Lalibela Hudad at TripAdvisor. Currently, this hotel doesn’t participate in hotel discount partners, but you can still see many photos of hotel rooms and the exterior, plus read recent descriptions of guests’ experiences via this TripAdvisor link. First of all, the lovely, flower bedecked Tukul Village is quite the oasis. In case you were wondering, the word Tukul describes the style of huts that are built in this region. 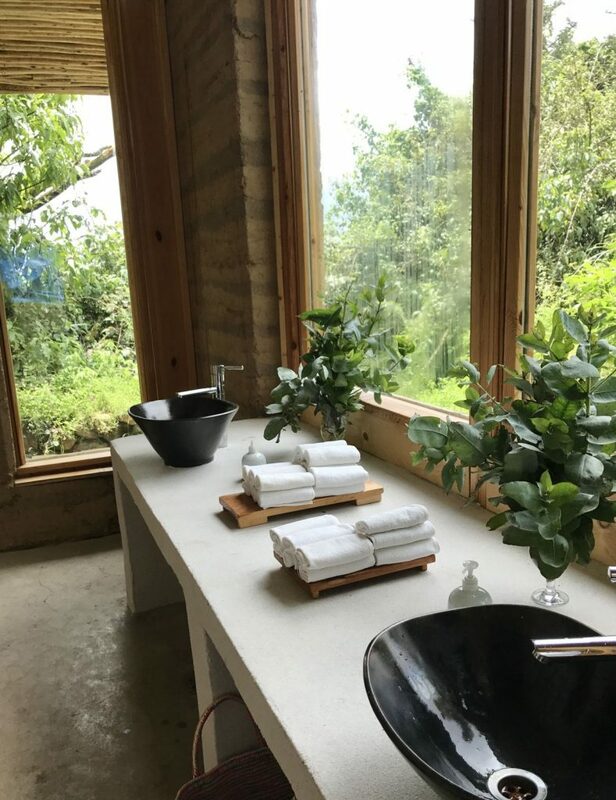 Hotel amenities include organized visits to the nearby UNESCO site (the rock hewn churches of Lalibela), guides speaking English, French and or German, and an airport shuttle. The hotel is well run and the showers were great!!! At the time of this writing a family of five staying in a “Family Room” with one on a floor mattress would cost $99/night, breakfast included. Finally, the staff provides lovely baked bread offered at mealtime. See more traveler photos and read reviews of Tukul Village at TripAdvisor. Currently, this hotel doesn’t participate in hotel discount partners, but you can still see many photos of hotel rooms and the exterior, plus read recent descriptions of guests’ experiences via this TripAdvisor link. We did not stay overnight in Addis and so I am reluctant to recommend hotels. 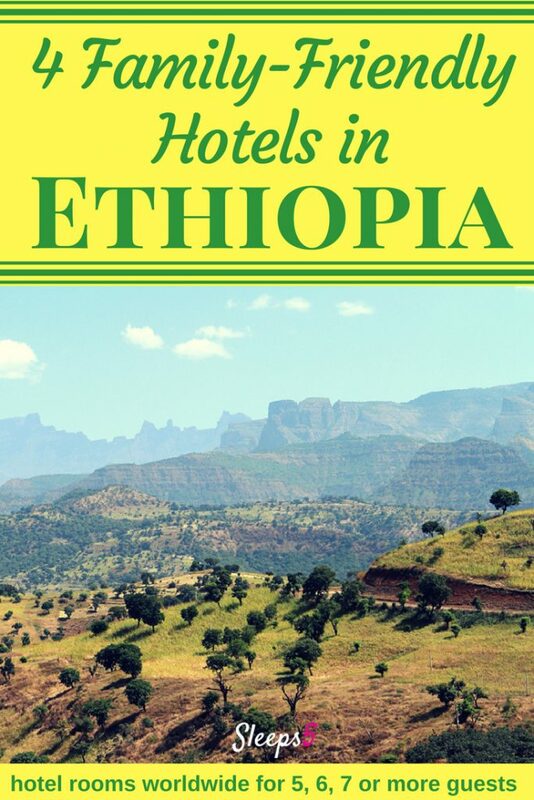 However, the Sheraton Addis Ababa and the Hilton Addis Ababa have been recommended. Both have extensive grounds that cater to children. That said, these are very expensive hotels especially as a villa (Sheraton) or suite (Hilton) will be needed in order to accommodate a family of five. Contact the hotel directly for family accommodations. Lastly, the Hilton does provide some discounts for adjoining rooms. Please let us know of any other hotels we can add to the list. We can’t wait to go back. Family of 5: Some Hotels are Right for You!